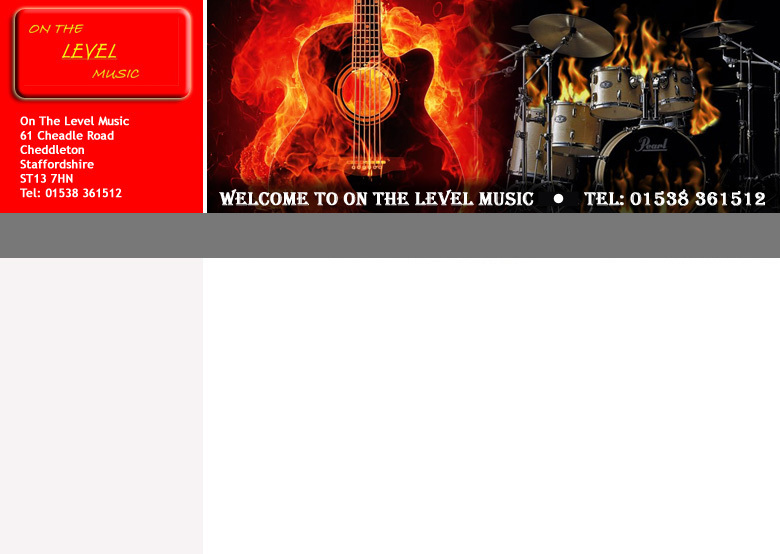 We offer Guitar, Bass and Drum Lessons from our Shop in Cheddleton, Near Leek, Staffs. Tuition is available throughout the day until early evening. At our Shop in Cheddleton we have dedicated Guitar and Drum tuition rooms offering one to one tuition from experienced and friendly tutors. We welcome all ages and standards from the complete beginner upwards, and we will tailor your lessons to give you what you want from your tuition.